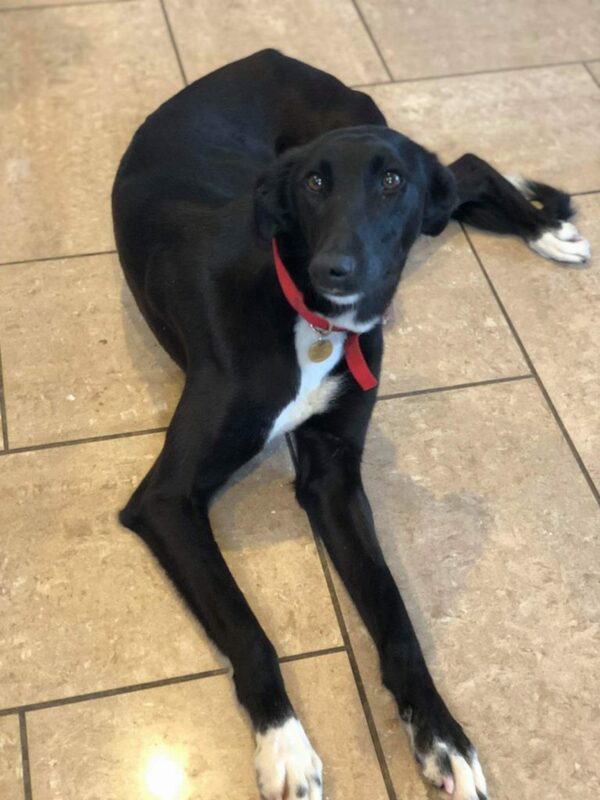 Tina is a 1.5 year old lurcher female. Though shy initially, Tina is adult and very child friendly. She is also very dog friendly. 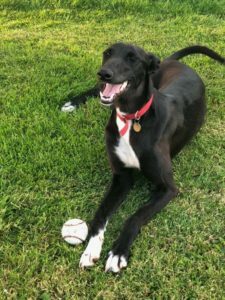 Tina is a medium energy girl who would like a daily walk. She enjoys racing around, playing with her toys and balls, and then lies about in the evening. Tina has been spayed, fully vaccinated and microchipped.